After four years of teasing us with singles and EPs, UK trio Factory Floor finally released their self-titled debut album this year. Like their other work, it’s rooted in Detroit techno and acid, but with a stark, post-punk outlook. The band just released “Turn it Up” as a 12″ and you can stream Laurel Halo‘s remix from it below. Factory Floor are in the US this week for a few shows, including two in Brooklyn at 285 Kent. Don’t expect an exact representation of the album — the band rip up their songs live, with live drums and electronics played on the fly. 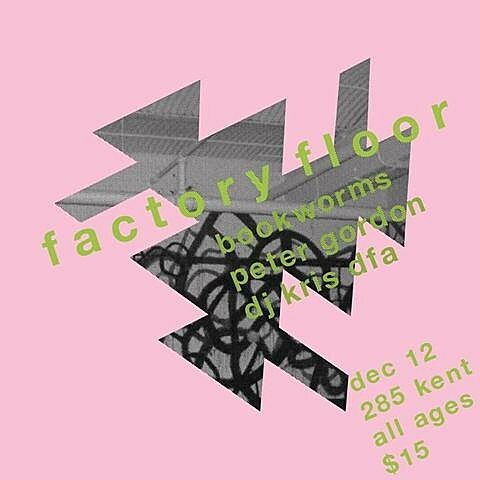 Friday (12/13) with Cities Aviv and Yvette is sold out, but you can still get tickets for Thursday (12/12) which is with Bookworms and DFA artist Peter Gordon. Flyer for Thursday’s show below. 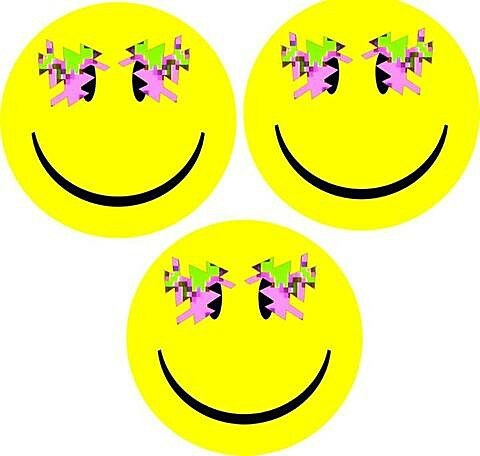 Laurel Halo posted this — I don’t need to say much here! by far the the best kick drum I’ve heard all year. Gabe and I had this Japanese synthetic apple cake in a hotel in Tokyo. 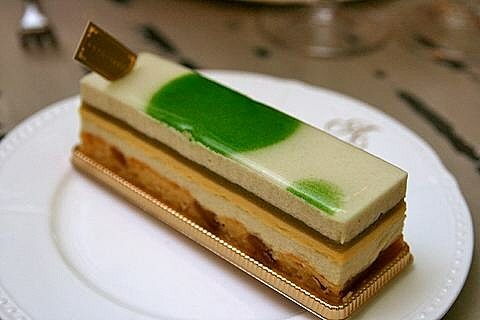 It was made of everything but apple, with some kind of mousse in the middle. Dinner at Kiko’s and Gulia’s house. Kiko (our tour manager) made his own salad dressing. The fish was great but I refrained from trying the salad dressing. I just love the transparency of this album. Electronic music deconstructed then reconstructed in their own unique way.